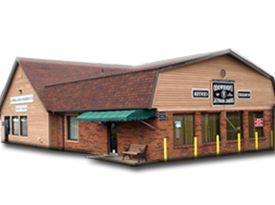 We have two locations to serve you. Be sure to call today and schedule your appointment. 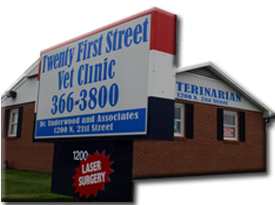 Our 21st Vet Clinic is located near Wal-Mart on North 21st Street in Newark. The office is entered from Pierson Avenue and this helps avoid dealing with the traffic on 21st Street. It also is a full service hospital. Opened in 2008, it will soon be expanding its surgical facility. 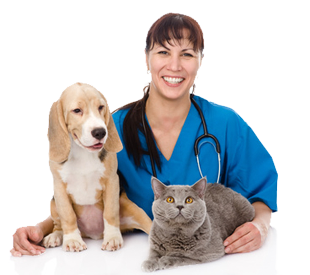 Dr. Sarah Underwood is the primary veterinarian at this location. Dr. James Underwood also assists on some cases at this location.